HISA Chair Dr David Hansen today announced two new Board Members selected from a strong and unprecedented field of 16 nominees. Dr Hansen said the successful nominee for the advertised vacancy was Dr Carl Kuschel, Medical Director of Neonatal Services at the Royal Women’s Hospital, Melbourne and since 2011, the Director of Clinical IT charged with raising profile for health technology at the hospital. Dr Kuschel’s interest in health informatics began when he developed web-based software to support his clinical practice while a young doctor in New Zealand. Dr Hansen said the Board also decided to exercise its discretion to invite a Member on to the Board and appointed junior doctor and software innovator Martin Seneviratne, from Sydney’s Royal Prince Alfred Hospital. Dr Seneviratne’s interest in health informatics first came to HISA’s attention when he won the inaugural App challenge at HIC 2013. “The casual vacancy attracted nominations from 16 impressive candidates all offering different strengths to support our organisation’s commitment to transforming the health system,” Dr Hansen said. Dr Hansen said the Board thanked those who had expressed their interest in leadership of HISA and looked forward to working with the new board appointees this year. “With heightened awareness of digital health right across the health sector, and strong interest from the health workforce in learning how to adapt and succeed, HISA is set for strong growth with many new initiatives expected this year,” he said. “Whilst I appreciate raw data, I prefer that information is presented in a digestible way that alters clinical practices and behaviour….. 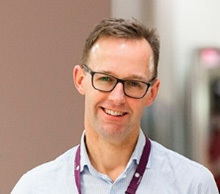 I value the role of benchmarking activities within my organisation, state and region that improve outcomes for patients, and believe that sharing knowledge is fundamental to success.” – Neonatal Paediatrician and HISA Board Member Dr Carl Kuschel. “I am a junior doctor with a background in software development. 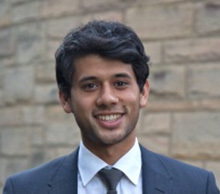 Working as a medical intern has reinforced for me how important e-health infrastructure is, because so much of our time as a junior doctor is spent chasing down files, ordering tests, filling out paperwork, re-charting meds, and this is where mistakes can be made.” – -Junior doctor and HISA Board Member Martin Seneviratne.